The Process – What does getting a New Kitchen entail? Ever thought about upgrading your kitchen, but then stopped yourself mid-thought because you weren’t quite sure where to start? Many of our clients say that when they decided to upgrade, they had to educate themselves on the process of a kitchen renovation. This can often be misleading because the client gets second-hand information from differing sources. Upgrading your kitchen is a process but it doesn’t have to be draining, time-consuming and cause your family inconvenience. When a prospective client makes contact, we visit them to discuss their needs and they are offered an initial quote and a design. When they accept this plan, they visit the showrooms with HDI and we assist them in choosing the materials they would like to use and make recommendations based on their budget, what they want, and what we have laid out in the plan. The client finalises the decisions on design, layout and material and the quote is adjusted if necessary. We order the carcasses and doors and have them assembled at our warehouse where they will eventually be delivered to the site once the prep work is ready. Our experience in the business allows us to make the time and space spent in your kitchen minimal and non-intrusive. Next is the wetwork – the plumbing, electrical hardware and plaster that will provide the framework for your new kitchen is installed. Your new kitchen now begins to take shape. The final pieces of the plan have come together, everything is on site and ready to be implemented – now it’s time to begin installing the kitchen cupboards. The site has been stripped and we have planned the layout of the new plumbing and electrics beneath the surface. We fit the manufactured kitchen carcasses on site and assemble all the necessary remaining parts, which get fitted and adjusted on site. This is where the doors, countertops, taps, and other accessories that will eventually form your kitchen are put together. The next phase is called ‘making good’. It’s a simple name we use, but HDI takes great pride in this step as it’s crucial to the layers of the process that follow it. The plaster and skimming work is perfected and ready for painting while ensuring that all inner workings implemented in the previous step are in good shape. Now all visible parts are fitted. Sinks, basins, taps, joinery and the works. After these steps are completed the cupboard doors are adjusted and aligned perfectly. The kitchen has taken its shape and will begin to resemble the final product. Onto the final steps – tiling or glass backsplashing between your countertop and wall unit are installed to complete the look of your kitchen. These occur in the following order: painting, flooring, sealing, filling and touching up. Ultimately your kitchen will be revered and remembered by your guests for how well this part of the job is carried out. This is the final stage and it’s how our clients will judge our work. This is why HDI always ensures that our customers are 100% happy – that gives us the most satisfaction, and we consider it the final step of the process. All of the above is fully project managed from start to finish by us. Home Decor Interiors has over 20 years of experience and during that time we’ve renovated hundreds of homes. 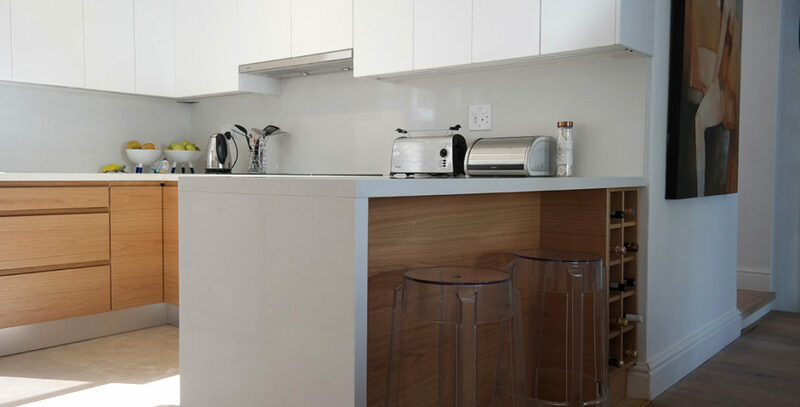 We pride ourselves on being a premium kitchen renovator in the Western Cape. Let us help you customise or upgrade your dream home. They should know how to read a floor-plan. Chances are if someone cannot read a floor-plan, they do not fully understand what they are doing either. Floor-plans are critical for capturing and obtaining the correct measurements. This is the foundation of any build or renovation project. Make sure they help you understand the drawing as well, to avoid any disappointment. Get your measurements wrong, and all the rest will follow. If you are dealing with a professional, not only will they get it right the first time, but you might spend less money, too. DIY’s can be fun, but the risk of a do-over is always going to be 10 times more. Ask your installer to supply references so you know exactly what you are dealing with. Speaking of money, a professional will know how to keep your budget on track. Just because you are hiring someone else to do the job instead of burying yourself knee-deep in Google searches, does not mean it has to be expensive. A professional will be able to give you insight into various options to keep your budget on-track. This kind of industry knowledge only comes from experience, something you will be able to pick up on quickly if they provide zero flexibility. So, make sure to get more than one quote before you settle, all in writing. 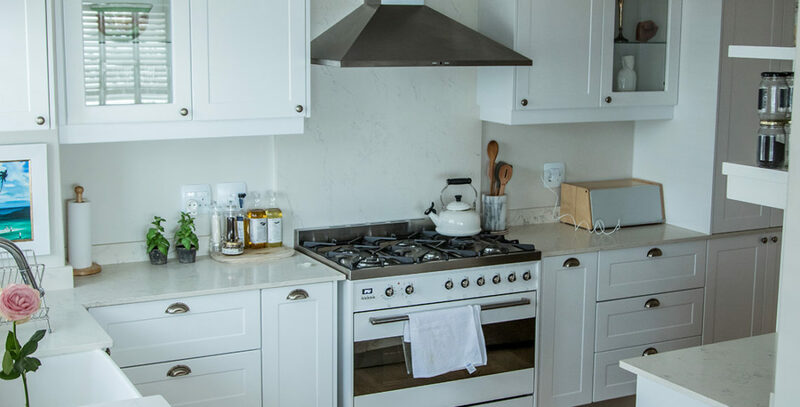 Another way to find the best kitchen installer Cape Town has to offer you is by making sure they have knowledge in more than just one aspect. Whoever is installing your new kitchen, also needs to have extensive insight into the most important aspects of any functional kitchen; plumbing, electronics, gas and storage. If it’s a big job, rather leave electrics and gas to the specialists. Of course, there are many more tips, but much like anything well-built, we hope these serve as a solid foundation to help you find your way around your new kitchen. With the festive season just around the corner, homeowners are busy planning home improvements. It is often seen that a home renovation project starts with a dream but ends up in a mess. Not every renovation project is a bad idea or a wrong concept. Rather it is the bad planning that destroys a good home improvement project. Since home remodelling needs a lot of investment and requires you to make changes in your home, it is always a good idea to start with a good plan. Here are some tips that will help you to plan a smooth and efficient home renovation. When you are planning home improvements, you will come up with many ideas that you want to implement. There might be many areas that you are considering to renovate. Over renovation is a common mistake that homeowners make thinking that making improvements will increase the value of their homes. But that is not the case, a bigger renovation that requires a change in the original design of the house can damage its structure. To avoid the damage and wastage caused by over renovation, you must make a list of improvements that you want to make. This will also provide a roadmap of renovation so that the whole process runs smoothly. Your home renovation contractor will also find the list helpful while planning the renovation. A budget helps in setting a limit and helps in reducing over expenditure on a particular area. By setting a budget for home renovation, you can plan from where you can shop for furniture and accessories. Budget is also helpful when you are making decisions about the arrangement of finance. It is very important to decide when you want to start and when you want to end. This allows your home improvement partners to strategise accordingly. Once the time frame is set, you need to start selecting a home renovation company to help you remodel your home. This decision can make or break your home improvement project. A reliable home renovation contractor not only understands your needs but helps to add life to your ideas. It is crucial that you allocate a reasonable amount of time for selecting a home renovation company as a good one will make the process smooth and stress-free. To select the right renovation company, it is important that you browse through useful websites and get references. After you have shortlisted 4 to 5 companies, visit their website and check out more about them. While selecting a home improvement company it is important that you check out their past projects. A good company has all the past projects posted on its website and social media with the pictures. You can also check the reviews about the company. These are some tips that will help you to transform your nest into the home of your dreams without having to go through any hassle. A renovation company can make your job way more easy and quick but you need to take time to choose the right one. Home improvement actually refers to the process of renovating your home by making new additions, upgrading your home’s interior and exterior and doing other necessary improvements to the property. There are many companies that provide exquisite ideas for home improvements in many cities like Cape Town, Johannesburg, Pretoria, Durban, Port Elizabeth etc. A home improvement does not merely mean home decoration but it also refers to increasing the value of your home. Although home improvement cannot be called an investment still you can expect a decent return in terms of comfort and ease. Although you can do little changes in your home by yourself, it is advisable that you must consult with the home décor service provider for the perfect changes that you have always longed for. Whether your kitchen is spacious or not kitchen renovation with ample storage space is the option you exactly need. You must renovate your kitchen by keeping in mind your basic requirements. You can opt for designer or plain shelves with embellished brackets to add that sleek look for your kitchen. You can save the space of your kitchen by using the corner space by installing shelves to keep dishes, spices and cookware within your reach. Wall painting plays an important role when it comes to the process of renovating your home and doing improvements. With a simple addition of wonderful colours, you can give your cabinets and rooms a brand new professional look. The best recommendation while choosing a wall colour is to consider the facing of the windows and then planning the combination of colours based on the areas that receive sunlight and the areas which do not receive sunlight. The entrance to your home is the first thing that everyone notices. To provide your entrance a sophisticated look you can frame your front door with millwork and paint it accordingly, to coordinate it with your home exterior. You must choose the right interior theme for your house. You can choose the same theme for your entire house or you could choose different themes for the different segments of your house. You must choose products that enhance your home decoration like curtains, flower vase, lamp shades, lights etc. You must pay attention to the living area of your room as it is the central portion of your house. You can go for a new coat of paint or you can buy a new piece of furniture to provide your living space that lustrous look. In conclusion, it can be said that the exquisite looks of your home will depend on your smart choices of choosing the best interior decoration for your home. You should decide a theme for your home that will suit your personality and style. Home Decor Interiors has over 20 years of experience and during that time we’ve renovated hundreds of homes and installed built-in cupboards. We pride ourselves on being a premium kitchen renovator in the Western Cape. Let us help you customise or upgrade your dream home. HDI is proud to announce that we recently renovated the home of Olympian Chad Le Clos. 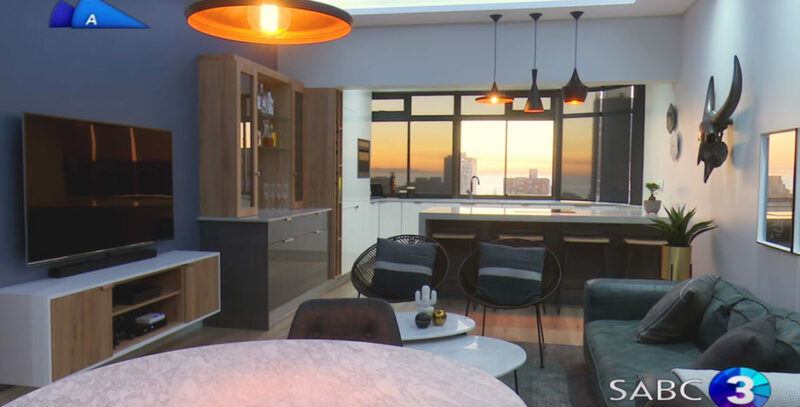 The team was really excited about the project, and all they wanted was to put a smile on the face of the South African swimming sensation, but they got more than they bargained for – the home was to be featured on SABC 3’s Top Billing. The episode featuring Chad’s new pad was presented by Jeannie D and was aired on 1st June 2017. Jeffrey, who leads the HDI team and Patrice, who heads up the Interior Design were both featured on the show, where they had the chance to share their vision for the assignment and discuss what it was like to work for Chad. It’s an honour and a special responsibility to work with someone like Chad and while our team was able to express their creativity, we were also constantly aware of the importance of the task and the pressure to deliver on time. Our team executed the whole project including stripping, building, tiling, and plumbing with all the joinery, electrical wiring, and décor. Chad’s apartment had three bedrooms and two bathrooms, with the entire apartment spreading to 130m2 in area. Our team decided to split into micro teams, each responsible for one particular job. This helped us execute the entire work in a fast and organised manner. With this sort of planning, we were able to complete the project in around 8 to 10 weeks. Chad was in Europe while we were completing the renovation and we wanted his pad to be ready when he came home. We decided to use Flor store marble tiles for the bathroom floor. These gave a spacious and sleek look to the bathroom along with providing a fresh feel. The frameless glass shower in the bathroom is a stunner and really completes the look. For the bedrooms, and all through the apartment, we decided to use honey oak wood laminate for the flooring. The honey oak wood floors are classy and look stunning, but are also durable and sturdy. Our search for doors that could stand out took us to Superior Doors – and we decided to go with high gloss for Chad’s apartment. We got some stunning handles from Raiel for the cherry on top. In the kitchen, Patrice wanted to put in some elegant countertops Caesarstone was used to make them, and the result is breathtakingly beautiful. Rich Scandinavia and Dusted Moss 3 from Dulux were used on the walls. For Chad’s bedroom, Steel Symphony from Dulux was used on the feature wall to bring out the beauty of the paint technique. Patrice stuck to Scandinavian/Nordic style for the décor. All the vanity and accessories were from Tiletoria. The furniture used in the apartment is from Esque, Weylandts, Superbalist, Country Road and @Home. Pendants have been used in the kitchen and bedroom. The pendants used in the kitchen are from Tom Dixon and the pendants in the bedroom are from Hoy P’loy. The LED rope lights concealed in the bulkhead design of the lounge is stellar. The days when kitchens were dark spaces to be kept hidden behind the doors are long gone. Today, a kitchen can be anything but a boring space to be kept a secret. From hosting parties to cosy family dinners, modern kitchens perform various roles, and to perfection. One of the latest trends that are catching up these days is blending the dining area with the kitchen area. A kitchen can be renovated to double up as a dining space. All you have to do is keep some tips in mind. These will help you in creating the right amount of drama which will appeal to the imagination of your guests. An open kitchen looks stunning and helps in enhancing the space. This can be a very useful trick if you have a small apartment kitchen or a small area that you have to use as both kitchen and dining space. Food is cooked in the kitchen and filling up the dining room with aroma while guests or family member enjoy some time together a satisfying experience. If you do not have a space that can be used for dining, you can design your kitchen to play a dual role. A kitchen counter can become a dining table for your guests and family members. Prepare fresh salad or serve your sizzling dishes straight out of the microwave, the countertop dinner table will change the way you dine. If you are renovating your kitchen to enable it to play the role of a dining space as well, you need to pay special attention to the lights. Since you will have guests and friends coming into your kitchen, you need to choose lights that are decorative and attractive. You must also keep in mind that lights should also be suitable and convenient. The cooking area will need different lighting arrangements than the dining zone. Remember to choose stylish pieces while keeping the light arrangements in mind. A clumsy kitchen is a complete turn off and when it doubles up as a dining space it can be quite embarrassing. Using the right set of cupboards and cabinets designed to go with your kitchen is crucial for better organisation. Cabinets that are functional and easy to operate help in enhancing the efficiency of the kitchen. Choosing the right set cabinets is an art that is essential for getting an exceptional kitchen. You can also achieve a clean and modern look by integrating your kitchen appliances with cabinets. If you are inviting your guests to your kitchen, you must ensure they are all praises about it. To ensure that your kitchen impresses your guests, you must pay attention to the décor of your kitchen. Backsplash tiles are one of the simple ways to add elegance to your kitchen. With the right set of tiles, you can create the right impression and add an edge to your kitchen. Renovating a kitchen that doubles up as a dramatic kitchen is easier to design if you have a theme in mind. This will help you to choose your cabinets, get the colour combinations right, better light arrangements and decide about the décor. 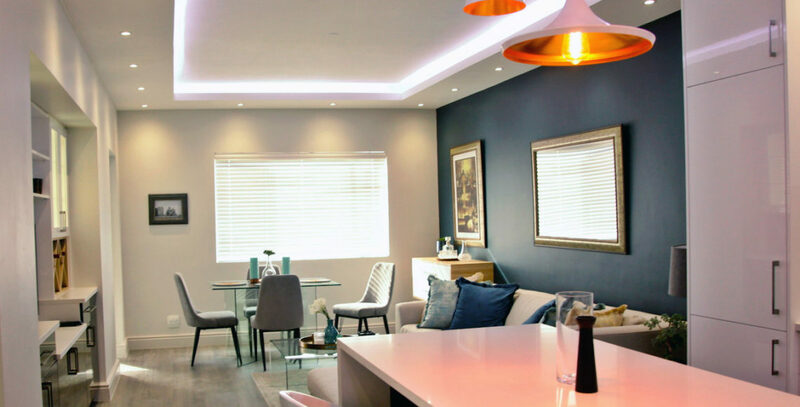 When on the search for an Interior Designer, there are many facets to the job that you need to assess before choosing the perfect interior designer to capture your views and deliver on your vision. Redesigning a room is a long-term investment, so it is important to put a lot of thought into the look and feel. It’s also your responsibility to be involved in the decisions, but this is no easy task and has proven to be quite daunting and schedule intensive. With that being said, you need to trust your chosen designer and respect the Design Process. Take the guidance and advice, after all, they are the professional in this situation. We’re going to discuss a few tips we have picked up along the way to help you in choosing your best suited Interior Designer. As this is an investment into your Home or Office life, it is very important that you go with something that reflects you. Before choosing your Designer, it’s important to capture the things you like, perhaps in the form of a mood board, or Pinterest board. It’s great to have guidelines, visuals really help the designer see what you like, and guides their vision to align with yours. This is your decision as much as theirs. Always compare notes on the project, you need to agree on all aspects of the job. Time is Money, we’re sure you are familiar with this saying. This statement has never been more true, especially when it comes to renovating. It is of key importance to outline expenditure on a renovation project. As the slightest mistakes can turn out to be a costly one. Renovations are just as much of a time investment as they are monetary. You need to make yourself available to your designer, also discuss timelines and spend. It’s important to choose a designer who is experienced and can deliver a timely and outstanding end product, as you have envisioned. We all like to have someone recommended to us, Word of Mouth is the best form of marketing. So hearing from friends and family is the trusted way to finding the best Interior Designer. However, if you aren’t lucky enough to find your Interior Designer that way, how do you know if they are in fact credible? We suggest hiring from an existing business, someone who has contactable references and a proven portfolio. Don’t be scared to make those few calls. It’s also important to find someone that you can work well with and understands your needs. In closing, when choosing your ideal Interior Designer, be sure to choose someone you get along with, who has a similar vision, and listens to your ideas, but can guide you to the best outcome of your project. Always get a finite timeline, and stay within your budget. Be sure to protect yourself in form of a contract. A carefully planned kitchen can be a boon for the house. As a functional little corner, a beautifully designed kitchen can have a variety of functions. Apart from being a utilitarian space for preparing meals, modern kitchens serve as a fantastic spot for holding parties and entertaining guests. 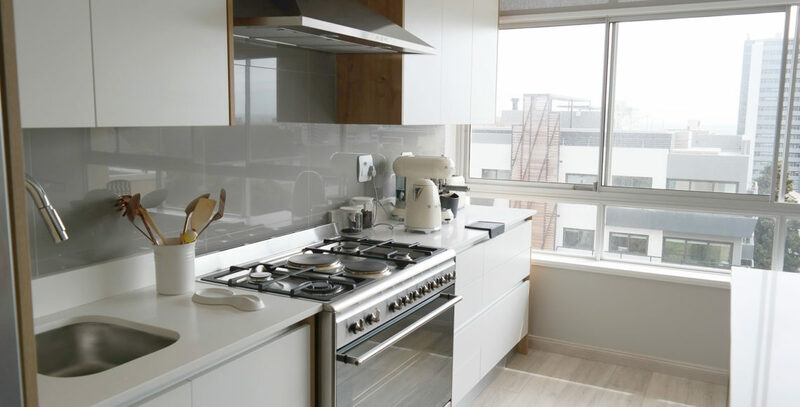 Whether you are relocating into a new apartment or remodelling an old kitchen, designing a kitchen requires meticulous planning. Does the thought of designing a kitchen overwhelm you? Ease all your worries – this article will walk you through some essential aspects of designing a dynamic kitchen space. Enhance the functionality of your kitchen with open shelving. The shelves which come without door are convenient to use and enable users to access the necessary ingredients easily. One can neatly arrange the plates and cooking utensils on these shelves to boost the overall functionality of the kitchen. Eliminate the inconvenience of doors and help your kitchen to transform into a fully utilitarian unit. Nowadays kitchen equipment like sinks, plumbing solutions, and faucets come in contemporary designs that combine exquisite layout with high functionality. Remember, good quality kitchen equipment improve the overall value of your kitchen. So, ditch the boring designs and make interesting upgrades to create a dynamic kitchen. Decorators have highlighted the importance of natural light. If you want your kitchen to be bright and energetic, you can utilise natural light to create a vibrant kitchen. Moreover, to emphasize the subtle features of the kitchen, it is essential to opt for reflective colours like white. Going forward, you can also add leading-edge lighting solutions to your kitchen, which will allow it to exude a contemporary charm. You can experiment with bold lighting options, such as low voltage dim bulbs, incandescent lights, LED lights, etc, depending on your requirements. Many people combine different materials to design their kitchen. Instead of sticking to traditional wood-made cabinets, you can mix materials like glass and stainless steel to enhance the aesthetic value of the cabinetry. These types of kaleidoscopic designs can add a quirky edge to your décor. Kitchen cabinets are an indispensable part of a functional kitchen. You can choose modular cabinets, which allow flexibility of design, material, and accessories, to optimise the kitchen space. Since these cabinets offer modular solutions, they add value to your home. Custom kitchen cabinets are an essential element of a kitchen, reflecting your personal taste. So, explore your creative side and choose inventive solutions to offer your kitchen an outstanding look. Your options are abundant – whether you want modular shelving options or traditional cottage-type cabinetry – you can choose anything based on your taste and requirements. Today, the role of a kitchen is not restricted to preparing food. Feel free to experiment with bold designs to transform your kitchen into a dynamic space where guests can assemble to share delectable meals. When it comes to home improvements in Cape Town, the majority of people make the mistake of hiring multiple contractors to complete many facets of small jobs. As paying for each job individually seems to be the cheaper option and one can spread the costs. However, there are more cons than pros when it comes to hiring more than one renovation company. This can lead to competitive working conditions, and contractors coming back to you with regards to other teams using their tools. It can be the case of more headaches rather than a seamless job. I’m sure we’re all familiar with the expression, “too many cooks spoil the broth”. When it comes to your home renovations this could not be more true. Having too many contractors on site can cause confusion, thefts, as well as poor workmanship, not to mention “the blame game” when something goes wrong. Although most contractors boast about being a “Jack of all trades”, it’s of the utmost importance to enlist the services of a reputable home renovations company such as Home Décor Interiors. We have control of everything and the buck stops with us. No blaming other contractors for getting in the way or ruining the job after it was completed. Saving you time, saving you money!